Transacting or channeling money derived from an illegitimate source until it appears to be “clean”, is a criminal offense. Charged under California Penal Code 186.10, money laundering is a financial crime referring to transactions intended to promote or facilitate criminal activities, or transactions knowingly made with proceeds from criminal activity. The crime is a wobbler which means the government may charge someone with either a felony or misdemeanor. However, depending on the amount of the proceeds or the scheme alleged behind the activity, a person could themselves indicted in federal court. Proceeds from drug enterprises, extortion, theft, bribery, and organized crime are often the underlying activity leading to the arrest for money laundering charges. WHAT ARE THE LEGAL DEFENSES TO MONEY LAUNDERING? Complexity: Money laundering can vary in both sophistication and complexity. Typically, the government assigns the investigation to a forensic account to trace the proceeds to an illegal source. However, forensic accounting is not considered a “black and white” and is often a battle between forensic experts within the courtroom. Search: If the government obtains personal banking information or other personal information, the government is required to be armed with a search warrant. 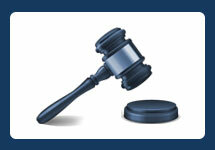 Failure to do so may result in the evidence being suppressed leading to a dismissal of some or all charges. Knowledge: Knowledge is an essential elements requiring the government prove someone harbored the requisite knowledge of the monies illegal sources, and then acted with the specific intent to drown the source to make it appear legitimate. The law will not punish someone who acted without knowledge of the underlying illegal activity used to obtain the proceeds. Amount: California requires an amount exceeding $5,000 laundered to withstand this charge. If someone laundered an amount at or below $5,000, then the government cannot charge a person or continue prosecuting their case. If the government is alleging an amount above $5,000, the defense may concede that money laundering took place but based on a defense examination into the financials, the laundered amount is actually less than $5,000. Misdemeanor money laundering is punishable in the county jail for up to one (1) year whereas a felony conviction is punishable in the county jail for up to three (3) years. Additionally, a conviction carries a fine up to $250,000 or twice the value of the property transacted, whichever is greater. A second conviction for this offense results in a fine up to $500,000 or five times the property value, whichever is greater. Furthermore, sentencing enhancements may apply based on the amount of proceeds laundered and provide greater increases in fines and imprisonment for larger money transactions. Because of the heavy penalties following a conviction for money laundering under PC 186.10, it’s important for someone to retain an experienced financial crimes attorney to protect their rights and explore all defenses in an effort to dismiss the case or obtain an acquittal at trial. Financial crimes are complex requiring a careful examination into the government’s case. 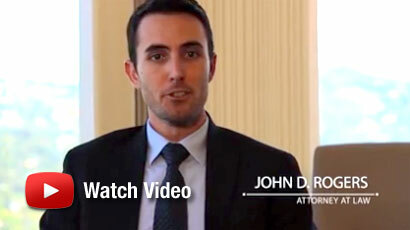 Contact the Law Offices of John D. Rogers to schedule a free confidential consultation with a financial crimes lawyer to discuss all your available options and defenses.